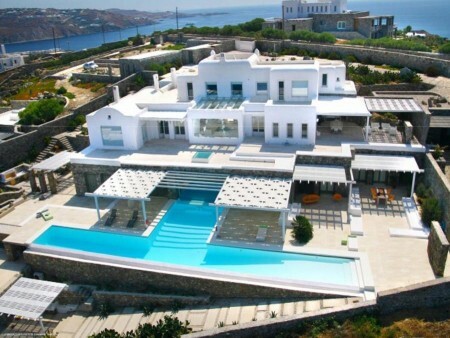 Villa Aphrodite is a 1,100m2 high standard villa, in Aleomandra area, offering true luxury aspects to guests. Villa Argan, a 450m2 building, located in the area of Aleomandra Mykonos, 3.5 km from Mykonos town (Chora) overlooks the island of Delos with an amazing sunset view. Villa Artaria is a majestic waterfront villa in Mykonos, with heavenly views to the Aegean and the historical island of Delos. It is also a great spot to enjoy a spectacular sunset. 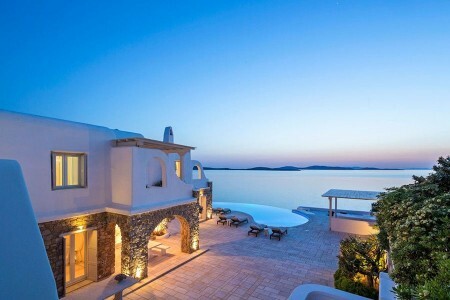 Villa Stefanie is a brand new Mykonian villa with a heavenly views to the Aegean sea and sunset. It is located in one of the best area of the island, Aleomandra, only a few kilometres away from the cosmopolitan town of Mykonos, facing south west, as overlooks Agios Ioannis bay and Delos island.